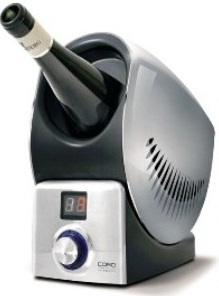 Wine control with cooling and heating operation with LED display. With adjustable temperature from 5 to 50 °C. Adjustable to horizontal (for warm drinks) and vertical position (for cold drinks). It has aluminium container interior and very quiet operation.